The box elder bug (aka box elder beetle) is one of the most pervasive pests in the Portland, OR; Vancouver, WA & Camas metro area. The box elder’s main food source is the box elder seed which is why they can be a big problem in neighborhoods where box elder trees are present. Because these insects are capable of flying up to two miles a day, they may be an issue even when box elder trees aren’t in the immediate area. When the mornings and evenings start to cool off, box elder bugs get the signal to fly in from wooded areas and find a comfortable place to overwinter. Unfortunately they’re attracted to the warmth of our homes and love to harbor inside the wall voids. Anyone familiar with box elder bugs knows their tendency to congregate on the sunny side (usually south facing) side of buildings on warm fall and winter days. 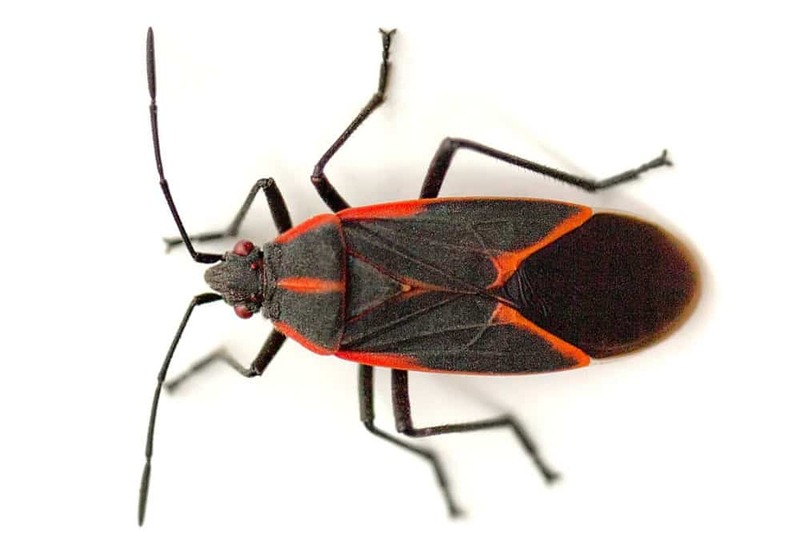 Once box elder bugs establish themselves in a home they tend to follow the same flight patterns each year and may get progressively worse if left untreated. Although they’re not particularly harmful insects, there’s no doubt that box elder bugs can be a big nuisance. Treatment is advisable when they’re observed on the house in large numbers or when they’re starting to get inside the home. What Treatment Results Can I Expect To See? Because box elder bugs fly, 100% elimination is probably not realistic. That being said, the overwhelming majority of our customers report seeing a huge difference after a single treatment and we consistently get feedback that the result of treatment is well worth the cost. Aspen uses advanced methods to treat the hidden areas where box elder bugs actually nest in addition to those areas where they’re visisble. 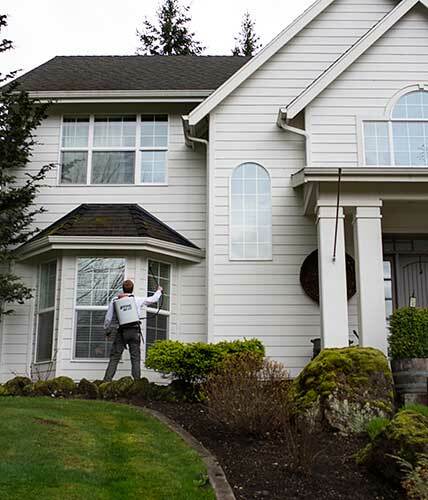 Box elder bug treatment is 100% safe and 100% guaranteed.